Society | Human Life - A Broad View! One person each in the lives of two people whom I know, died. Of course, death brings us sorrow. That sorrow appears because that someone who died in our lives, we were attached to them. Suddenly that chord is broken when the person dies and we feel sad, as there is a sudden void; and we are not used to the void. Everyone who lived on this planet, dies. Whether it is a living thing or non-living, everything comes to an end at last. Plants die, animals die, humans die; and even rocks will melt eventually. A non living thing like a rock is less complex compared to a living thing like a plant, animal or a human. I think it is because of the simplicity of the physical structure of a non living thing that a rock doesn’t disappear so easily. A living thing on the other hand, is held together by more complex forces. There are various forces in a human that make us human. There are physical, chemical, biological and even social forces which make us human. The complex forces disappear and we die, leaving behind only atoms and molecules – the simpler forms. Living things have biological forces which are more complex than the chemical forces. Chemicals can be produced in a laboratory, while living things cannot. The only laboratory that can create a living body is a living body of their predecessor. Cats can reproduce cats, and mice can reproduce mice – not the other way around. That is because of the complexity. When a cat produces a kitten, it transmits its biological forces to its offspring. Along with the forces that keep the body together, the cat’s genes also transmit to its next generation the knowhow of how to hunt mice – a survival instinct. This goes on generation after generation and the cat kingdom survives. Humans have another force in addition to just the biological forces and the survival instinct. We have built a very strong social structure which has moulded even our biological structure. The two people who died in the lives of the two people whom I know, were teachers. These two teachers had left behind their teaching for their successors. They might have transmitted their genes to their biological successors or the offspring, but they transmitted a very strong human force behind for the next generation who is not biologically connected with them – the force of education. We live not because of our bodies. We live because of what we use the body for. Human society is the biggest miracle in this world. It has left its culture and teachings for the next generation. That is what makes us, us! This entry was posted in Uncategorized and tagged Culture, Education, Humanity, Society, Sociology on August 26, 2018 by Sachin Thakur. One of the reasons I started this blog is to investigate the evolution of Humanity. If I remember right, it is Deepak Chopra who said, “you are not a drop in the ocean, you are an ocean in a drop”. Humans, as social beings, not individuals alone, but are individual members of the society at large. We wouldn’t have been members of society without the existence of the society around us. We so take the existence of society around us for granted that we hardly even notice it’s there. But the society as a whole has an influence on us and the society as a whole consists of individual members. So an individual and the society cannot be separated. In a way, the individual and the society are the same, just like a drop in the ocean, and the ocean are the same. I believe that the way I think and act can, and has, an effect on not just the society, but the physical universe as a whole.However, for the this discussion I would like to only put the society into the perspective and not the universe, because the correlation between the social phenomena and thinking is much more tangible than the correlation between the social phenomena and the physical phenomena of the universe. Since a lot of variables around us contribute towards our individual evolution as a human being, I considered my thinking as Human Development. When I started researching the term Human Development, I realised that I am not the inventor of the term. United Nations already had a programme in place called Human Development – a term which was invented by Dr. Amartya Sen. Human Development is a part of United Nations Development Programme (UNDP). For years, UN has been publishing their yearly Human Development Report (HDR). This post is a reminder that the UN has a very powerful programme in place with Sustainable Development Goals. I am not a part of the UNDP; and UNDP does not know who I am. But I invite everyone to have a look at these links and move towards these goals step by step in whichever way we can contribute. This entry was posted in Culture, Economy, Education, Evolution, Human Development, Humanities, Leadership, Society, Uncategorized and tagged Culture, Education, Evolution, Humanity, Society, Sociology on May 26, 2018 by Sachin Thakur. The question of social control arises because of the homogeneity that exists among the members of the society or an animal herd. Spencer’s paradox arises because of the dual nature of the social organism. According to Spencer there is no central sensorium in the social organism. Social consciousness exists at the individual level. The social aggregate has no way of knowing how an individual feels in the society. Unlike an organic organism, the aggregate exists for the individual and not the other way around. And still, it is the individual who chooses to be with a group although it is their independent choice to do so. It is the individual who has consciousness and not the group. This is a paradoxical phenomenon, as the group controls the individual. It appears from all the evidence in the society that the whole controls the individual. In case of an animal herd, it appears that staying with the herd is a safer option from the point of view of being attacked by a predator. In case of an animal of prey, it is instinctive to belong with the herd. Being isolated makes an animal an easy prey. Any individual animal in the herd has the ability to lead. The instinct to follow the leader exists only so far as the leader is with the group. The individual that leaves the herd is useless as a leader and is ignored by the herd. The tendency in gregarious (those who tend to stay in a group) animals is instinctive. What causes humans to live in a group? Society exists not from transmission, from communication; but it exists in transmission, in communication. When one person meets another person, an experience is transmitted from one to the other. Communication takes place when the person A gets the person B’s viewpoint. Person A transmits their experience to B then. The communication is complete when person B gets the experience of A. In this transmission, person A is isolated from their experience – i.e. they are not inside that experience at that time. What emerges for A and B together is a combined, common experience independent of the actual original experience of person A. When people gather as in a mob, for every individual a new experience takes place, which is independent of their original individual experience. In society, in group, therefore arises a social edict, a dogma which becomes sacred to the individual. A tendency to live for the society takes shape in humans in a group. A machinery to control the society thus takes shape, out of public consent. Like a stone hammer in the hands of a savage is an artificial extension of a natural man, such machinery to govern is an artifice which is an extension of a natural social phenomenon in human society. This explains, to an extent, what causes Social Control. This entry was posted in Culture, Society and tagged Evolution, Government, Humanity, Society, Sociology on October 27, 2015 by Sachin Thakur. This is the cover of the book I downloaded from kindle. I want to take the middle path for writing this blog. I want to provide material backed by academic research, though I don’t want it to be too academic. I don’t want to provide stuff that is there on public domain, the authenticity of which I cannot guarantee. I finished reading this book on Sociology recently. 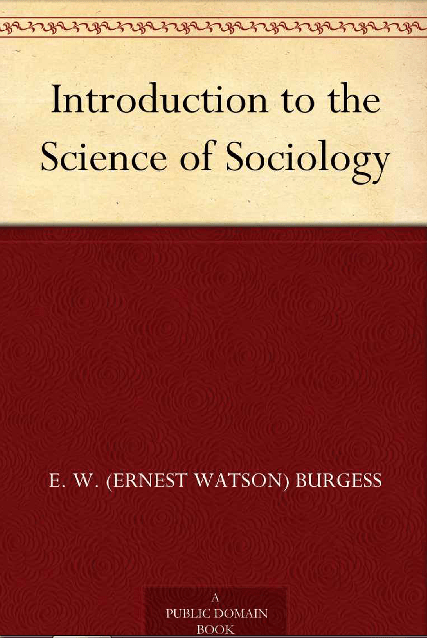 It is titled Introduction to the Science of Sociology. Somehow, I didn’t find any significant material on the topic Culture in this book. 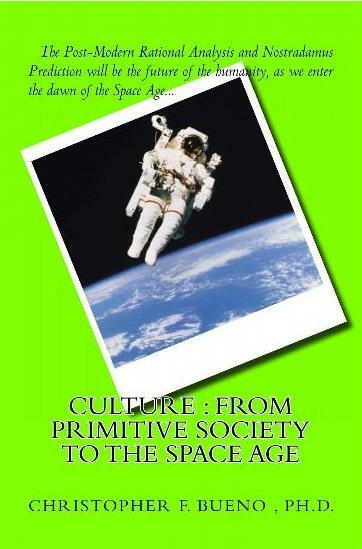 I found this book below (Culture: From Primitive Society to the Space Age) on Amazon Kindle. I found some good material in this book. So I have mentioned it. A few years back I had this feeling (kind of realisation) that culture is only one generation deep. In other words, my culture is only what I inherit from my parents. What if one or both of my parents were from a different background? I would have definitely ended up different. So culture in my view is a different topic in Self-Realisation. In the page Human Development I have listed Culture as one of the subjects instrumental in the development of a human being. This post is a brief attempt to cover what Culture means in the field of Social Sciences. That complex whole which includes knowledge, belief, art, morals, law, custom and any other capabilities and habits acquired by man as a member of society. I realised over the years that, what I inherited from my parents, their values, their beliefs etc, if that is what Culture is, then Culture alone isn’t enough to shape me up, because in addition to that, I inherit a lot of other things from my environment which are not bestowed unto me by my parents. My education for instance, is distinct from the culture I inherit from my parents. My education isn’t necessarily a part of their upbringing. In shaping up who I am today, my environment (which is not identical to my parents’ environment) is responsible; and there are many aspects to my environment. That is where the field of Sociology plays a big role. At this juncture, I will end this post here. In subsequent posts, I will write on various topics of Sociology and Culture. This entry was posted in Culture and tagged Culture, Development, Society, Sociology on September 29, 2015 by Sachin Thakur.